The province of South Holland will provide a € 300,000 grant for the establishment of a RoboValley Community between 2016 and 2018 in Delft. RoboValley will use the RoboValley Community project to improve the collaboration between researchers, business and government in the next two and a half years. RoboValley will do this by organising network activities and thematic sessions, and by promoting robotics as a new industry. In the coming years, the RoboValley Community should grow into a network in which these three disciplines can find each other. The project is co-financed by Delft University of Technology, Delft Municipality and contributions from partner companies. RoboValley is an initiative to connect research in the field of robotics to business and government. 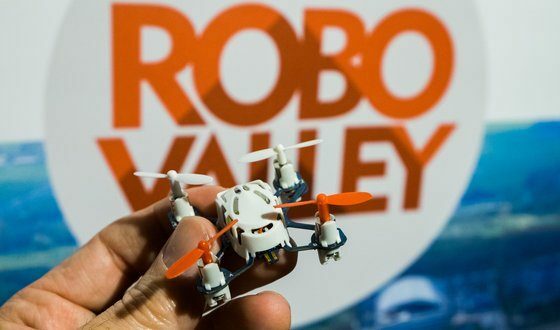 RoboValley wants to become the international hub for the next generation of smart robots. Meanwhile, robotics is widely implemented in various sectors wherein South Hollands excels. Such as the maritime manufacturing industry, horticulture and medical technology. Examples of these applications are a robot arm that helps with the maintenance of ships, the use of care robots or robots that pack fruits and vegetables. The RoboValley Community will be established to improve collaboration between these parties. The grant enables RoboValley to organise information and matchmaking meetings for investors and entrepreneurs in robotics. Various themed sessions and RoboCafes will be organised on substantive issues within the domain of robotics. The money comes from subsidy programme ‘Regional Networks Top Sectors South Holland’. With this subsidy, the province wants to strengthen the organisational capacity of key sectors and their crossovers. Click here to read the press release (in Dutch).